this is right.we protest from bingale muslims terrorists.we must save our father land arakan.we are arakanese.we save from unhuman muslims bingale and misbelieve people.get out bingale muslims terrorists from our arakan land. 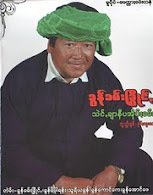 I do not understand about အလယ္သံေက်ာ္ညီလာခံ. I would like to advice that you should not use about it. Because almost readers do not know about it. But you can use if you attached with ABOUT အလယ္သံေက်ာ္ညီလာခံ.